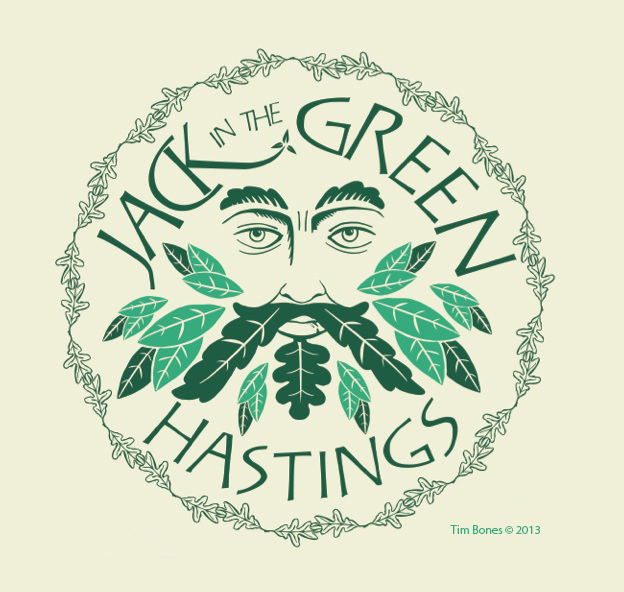 or a number of years now I have attended the Jack-in-the-Green event at Hastings. 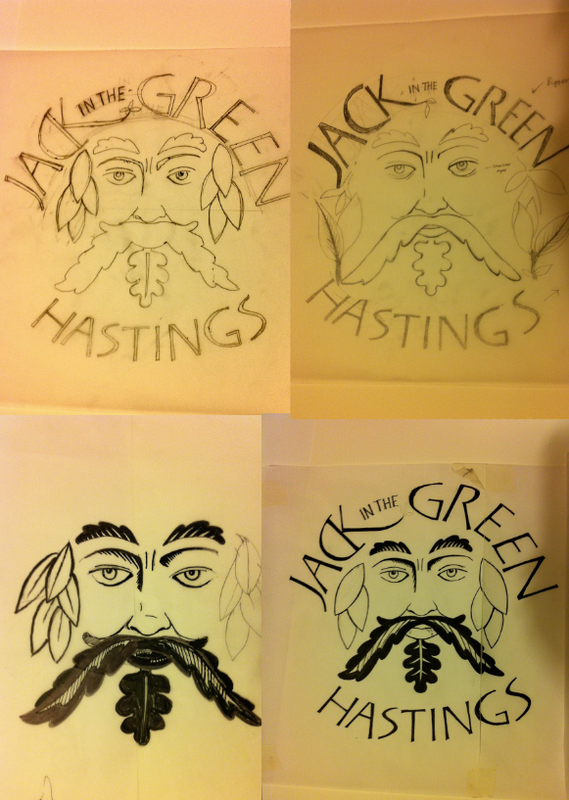 The May Day celebration which had largely died out in Hastings in the late 1880s was revived in 1983. Since then, the parading of Jack continues to attract huge crowds. Recently, the organising committee put out a request for a design for their merchandise, and this was my offering. Sadly I didn’t win, but I had fun designing this. I particularly enjoyed producing the lettering. 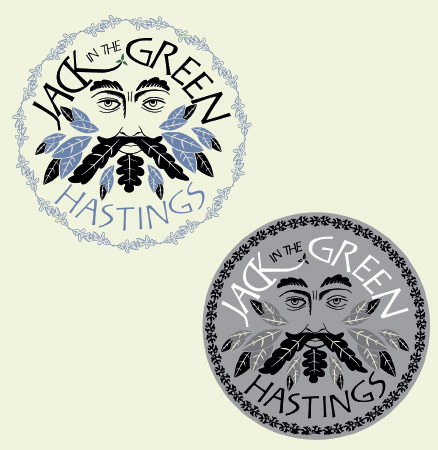 Apart from the ring of leaves, the design was almost entirely initially drawn by hand, then scanned and digitised. This was when I tried a few colour variations (below). The winning design can be seen here.